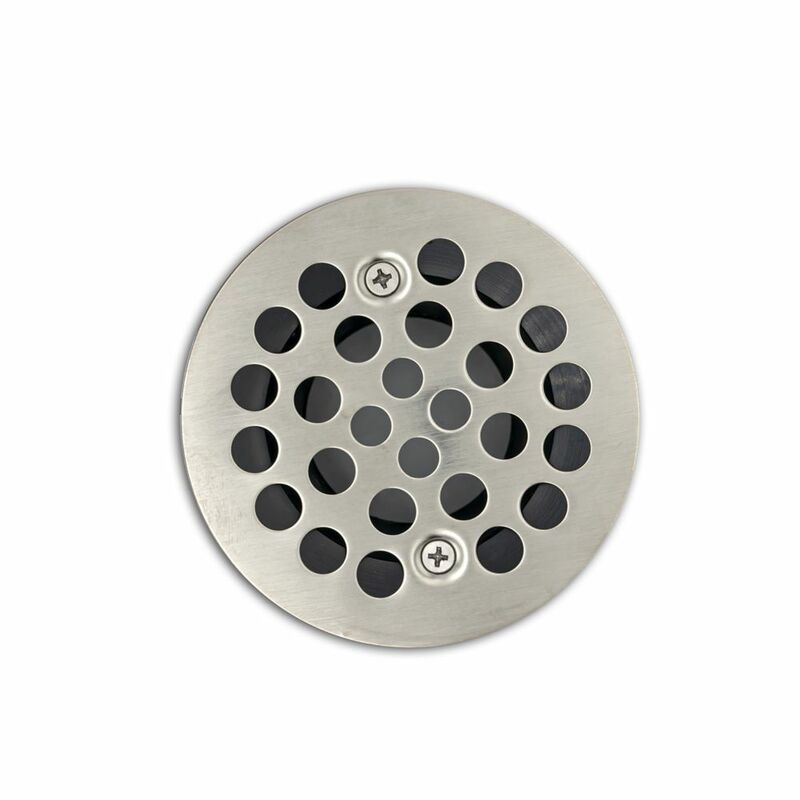 With classical patterned appearance, the Valley Shower drain is a perfect, cost effective solution for your shower drain. The Clearflo adjustable trip lever pop-up drain works perfectly with 14- to 16-inch deep baths. Your bath will be even more relaxing because you can depend on solid-brass construction for durability and reliability. KOHLER finishes resist corrosion and tarnishing, exceeding industry durability standards over two times. And you have installation flexibility with above- or through-the-floor options. Complete your bath, BubbleMassage(TM) air bath, or whirlpool with the sleek Clearflo bath drain. Designed to complement a variety of bath designs, this set includes a metal control handle and cable-activated bath drain. Above-or through-the-floor options offer you flexibility for installation. Complete your bath or whirlpool with this sleek Clearflo bath drain. The PVC tee and pipe includes a slotted overflow drain and a toe-tap stopper designed to complement a variety of custom baths and whirlpools. The option of above- or through-the-floor placement and ball swivel joint for easy fit-up to the overflow ensures flexibility during installation. Brushed Nickel Shower Drain With classical patterned appearance, the Valley Shower drain is a perfect, cost effective solution for your shower drain. Brushed Nickel Shower Drain is rated 3.0 out of 5 by 1. What is the distance between the two screws? This information should have been in the spec. Hello there, we apologize for the delay in getting this answered for you... The measurement between the 2 screws is 2.61 inches. We will ensure to have this information available on our specification sheet. Hope this helps!